If your business is focused on purely online sales, then the extent of your contact with the customer outside of advertisements and possibly social media will be when they place their order, and when they receive their package from you. With this in mind, for them to become a loyal customer, they need to have had a positive experience with you each step of the way. 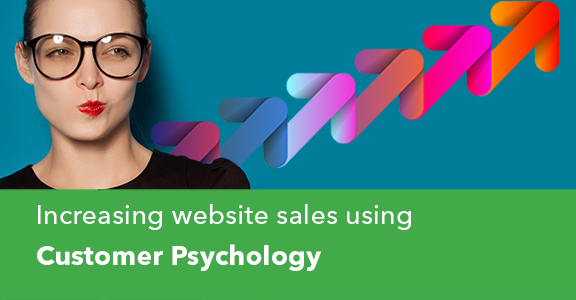 If you have a fantastic website that makes checking out easy, and you’re getting plenty of sales there and on your other sales channels, that’s great – now it’s time to build your brand further and make sure your customers return to you. There are numerous studies that have shown that premium packaging helps customers perceive your brand as more luxurious, or premium – meaning that if you get your unboxing strategy right, they feel like they’re getting a treat every time they order from you, even if they are ordering everyday items. By building on your great website experience with a great ‘unboxing’ experience, you’re creating a memorable brand that your customers will want to return to time and again – freeing you from the cycle of perpetually seeking new customers. In addition, a great unboxing experience gets shared with friends and refers them to you – you only have to search online for ‘unboxing’ to see how much great content is being made by customers. Essentially, your customer creating unboxing videos is doing your marketing for you, meaning that the extra pennies you spend on your packaging can be invaluable for drawing extra visitors – and potential customers – to your website. Now, when we’re talking about a great unboxing experience, we’re not talking about anything as elaborate as gift wrapping your items like Rowan Atkinson does for Alan Rickman in Love Actually – but there are ways of increasing the luxury feel of your brand than just using a brown jiffy envelope with a packing slip tucked inside. 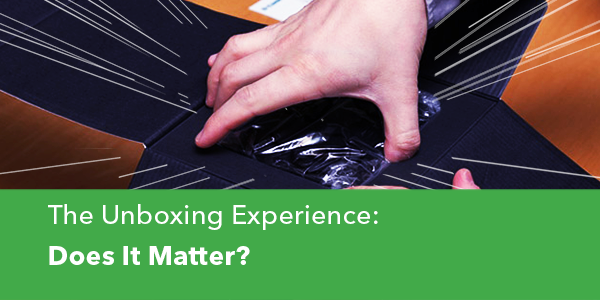 Here’s a few tactics that can improve your unboxing experience, with the best value, while considering environmental sustainability – because your customers will certainly be thinking of that too. 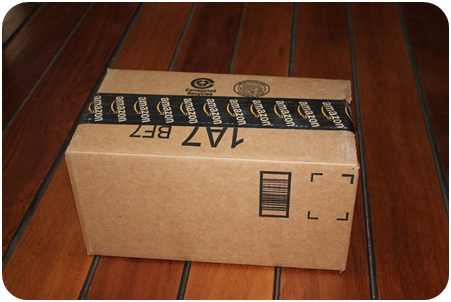 Now, Amazon has set the standard of practical brown corrugated cardboard, which is inexpensive and is recyclable, which is great, and (done well) cardboard can look incredibly chic, but whether it is right for you depends on your products. If you need to use a plastic mailing bag, try and source recycled versions, and make it clear to your customers that you consciously choose recycled packaging, and let them know how they can recycle it, if it is possible to do so. Whichever outer you choose, consider whether having your branding printed on the outside, or using tape with your logo printed on it (as Amazon do) is a good idea for your business. However, be cautious; if you solely sell products that customers would prefer were packaged discreetly (feminine items or adult toys, for example) then having plain packaging is clearly a smarter tactic. Going back to that feeling of excitement you get when you’re unwrapping a present, consider a sheet or two of printed or coloured tissue paper secured by a ribbon or sticker with your brand name on – it’s recyclable, and costs next to nothing – but helps customers remember your brand, where they ordered their item from and evokes a feeling of luxury. If you need to cushion the items you’re sending, then traditionally bubble-wrap or Styrofoam packing peanuts have been the go-to. But they’re not so great for the environment – they just end up in the bin (once the bubbles have been popped, of course, but that still counts as single-use!) and it doesn’t give that luxury brand excitement. 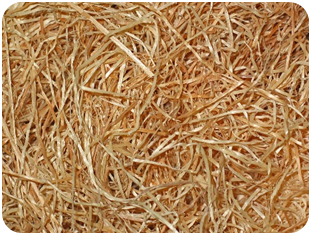 Crinkle paper and wood wool (excelsior) are more sustainable options, being recyclable and biodegradable, and reusable. Many items we receive from online retailers include flyers with special offers. But the ones that we have found really make the difference are the ones that mean something to us – so, in a monthly beauty box, we might have an indulgently designed sheet giving details about the products that were included, but you might also want to think about adding a special offer (10% off their next order, for example) or a printed newsletter telling your customers about the great things that your company are doing, including if you’ve made a change to more sustainable packaging recently. And of course, this is a great place for you to encourage your customers to tag you in their social media posts about their purchase. If you’re a smaller, or newer business, a handwritten note can be a great way to encourage customers to remember you; however, this can be difficult to scale, and a photocopy or a print of a scanned note just won’t get the same response. 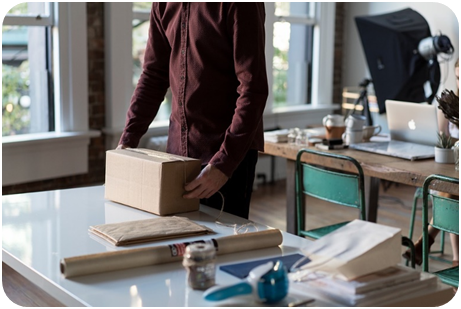 You probably don’t give your packing slip much thought – it just goes straight in the box – but this can be a great way of putting additional marketing into your box. 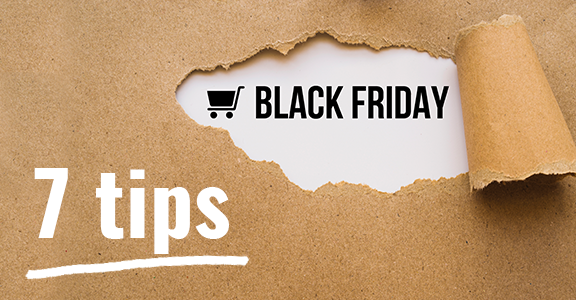 Adding your logos, product images and coupon codes can be a great way to ensure your customer has seen your branding, and if you’re a Linnworks user, it’s simple to add. And remember, a packing slip isn’t necessarily what the customer wants to see first, so if you’re going for the luxury approach, consider whereabouts in the box it goes. Everyone loves a surprise freebie – Free is our favourite price! 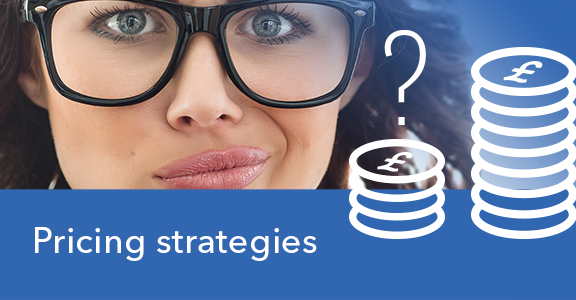 This tactic will depend very much on your business, and what you sell, but if you sell beauty products and your customer orders a facial cleanser, including a sample of a moisturiser from the same range can increase the chances of that customer coming back to order again, and to order the moisturiser as well next time. If you’re selling products for children, a great inexpensive freebie to remind parents and grandparents of your brand is to include a sheet of stickers, with at least one sticker that contains your logo. Of course, you’re thinking about how this will impact your business, no doubt in terms of both price and time. So you need to work out how you can make your unboxing experience, and your packaging work for you; we can’t make recommendations for all your businesses here. Even using one or two of these tactics can increase the likelihood of your customer talking about you on their social media or returning to you for another purchase, so the fraction of pennies on a sheet of tissue paper and a sticker in each package might just affect whether a customer becomes loyal to your brand, or if they hop back to Amazon because they liked what they ordered, but forgot who you were because there was nothing in the box to remind them, or to encourage them to visit your website. If you’re thinking about your unboxing experience or would like to discuss how to improve your packing slip, get in touch.